A stunning free-standing lotion dispenser pump made in the highest quality brass and clear glass and coated with blue. 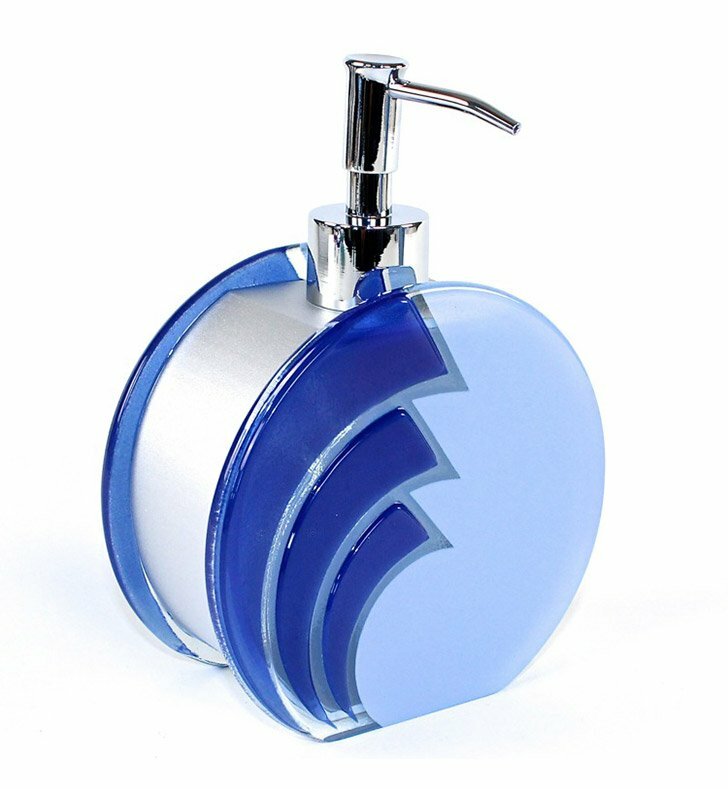 This liquid hand soap dispenser from the Gedy Loto collection is a modern-style gel dispenser. Manufactured in Italy. Will compliment your luxury personal bath.